What does it say about me that I cannot get enough young adult novels? I found this list of books on one of my favorite sites, Buzzfeed, and downloaded Divergent immediately to my kindle. I'm all over that shiz. Divergent was as good as the hype. So much so that I couldn't put the book down! There is something about young adult romance that I adore. Maybe it's the innocence of it all but whatever it is, it always has me glued to the page. This story features Beatrice (my middle name) in a futuristic Chicago. In this world, the city is broken up into factions based on certain qualities. For example, Beatrice is originally from the Abnegation faction, also known as the selfless. 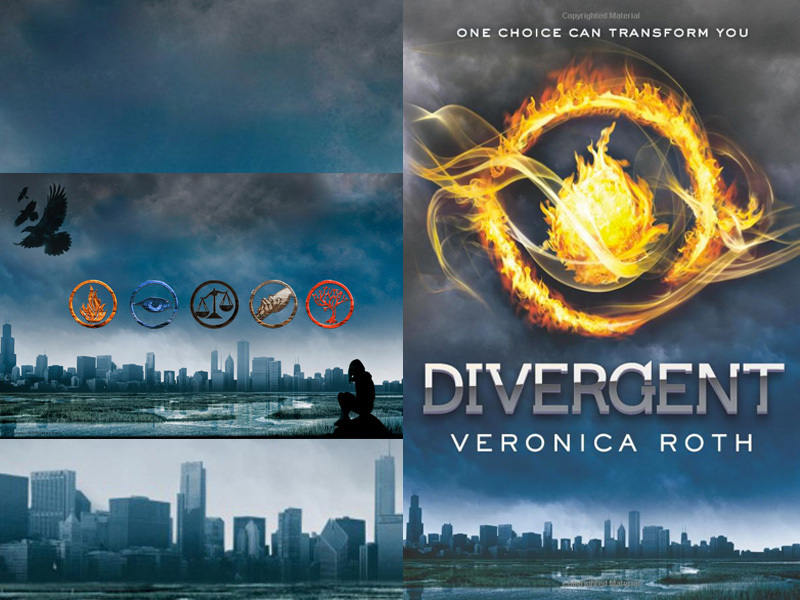 The story follows Beatrice (Tris) as she discovers her identity and falls in love (swoon). There is no love triangle. Thank you Deborah Roth for not making me take sides (Team Ron and Team Peeta all the way). This book is being made into a movie with a release date of 2014 (womp womp). Not sure how I feel about the cast but I'm going to let it mull a little before I make a decison. As only fitting, I have already started the second book, however, I'm trying to draw it out as the third one isn't due to hit shelves until October! Shame on me, I burned through the first two a few weeks ago thinking the third had already come out! Trying to hold myself over in the meantime with some Neil Gaiman.